When the concept of Hygge was thrown my way, I was a little overwhelmed, which is actually the opposite of what Hygge is supposed to encompass. As I started looking into other words and phrases that embrace the state of Hygge, this collection was born. Including things that make me happy, coziness and comfort, with incredibly light papers and elements combined with pops of warm reds and browns. If you are looking to bring more Hygge to your pages, this collection will be a perfect start. Part of the current Studio Coordinated Collection, each pack is just $1 and the bundle just $6 through February 21! Skribbler Teri has created some planner printables for you using my collection, click the link below to download! Today is the big game, Patriots vs. Rams. I have no stake in this game, my team isn’t there (again), but that doesn’t mean we can’t have a good time, good food, a good drink….make some memories! I created this fun mini kit, Super Bowl Sunday, to help you scrap your memories of today! And, the best part, it coordinates perfectly with the Football Season collection so mix and match to make your perfect pages! And, you can take advantage of my BIG birthday sale! Save 35% off my entire store, a FREE mini kit (35 Stuffs) with any $3.50 purchase and an additional 35% off your purchase of $35 or more – just make sure your cart is only filled with goodies by me to qualify! Enjoy this fun stacked football background created with Football Season! And, enjoy the game! It’s my birthday! I am celebrating the big 35 this year, and I’m celebrating it in the cold! In fact, the temperatures are bigger digits below zero than I am old. Brrrr! I am celebrating with a big 35 themed sale! Save 35% on my entire store! Pick up the 35 Stuffs mini kit FREE with any $3.50 purchase (your entire cart needs to be exclusively in my store to get this free). Plus, save an ADDITIONAL 35% off if your total in my store is over $35 (Bundles are excluded from the extra discount, and your entire cart must be products from my store). FREE WITH ANY $3.50 PURCHASE! There is magic in the night when pumpkins glow by moonlight…..and nothing beats a haunted moonlit night on all hallows eve. October 31 is filled with spooky and creepy things and so is this amazing collection. From bats to skulls to ghosts and spiders – this is the perfect grown up Halloween kit! I have an amazing page kit, and several add ons to go with it – all with a spooky twist! The Skribblers did some great layouts with this one too! 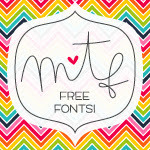 I have a fun freebie with this one for you too! I love Coordinated Collections, and our newest one, Faded Glory, is truly amazing! I love seeing what I come up with and then peeking at what all the other designers with the same colors and theme come up with. It’s really a neat project. Now you get to enjoy – mix and match to create your own collection with $1 products! Pink and orange and purple and yellow and green – fall brings so many beautiful colors to the world! The Faded Glory kit embraces the colors and feelings of fall in this playful autumn digital scrapbook collection. This collection includes lots of traditional scrapbooking elements like ribbons and flowers along with some playful doodled stickers and word bits. Pick up the artsy accents and this collection works brilliantly for scrappers of all kinds! I have also put all of my products together in an easy one-click bundle! And, before you go – I have a freebie for you, a set of fall pocket cards!